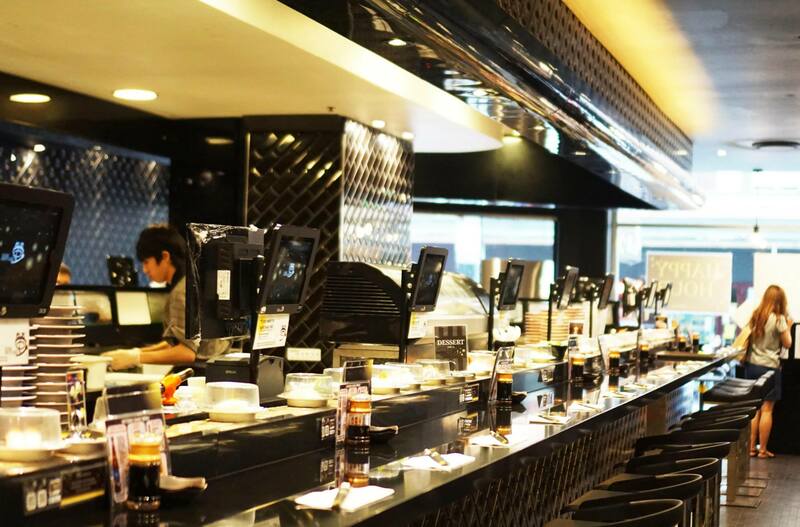 Sushi Hotaru is our go to sushi joint in Sydney because of it’s convenient location and consistent quality. We’ve visited both the Galeries and Bathurst St store countless times over the past few years and have never been disappointed, we always know exactly what to order and what to expect. We love red meat so slices of seared beef were a temptation that we simply couldn’t resist. 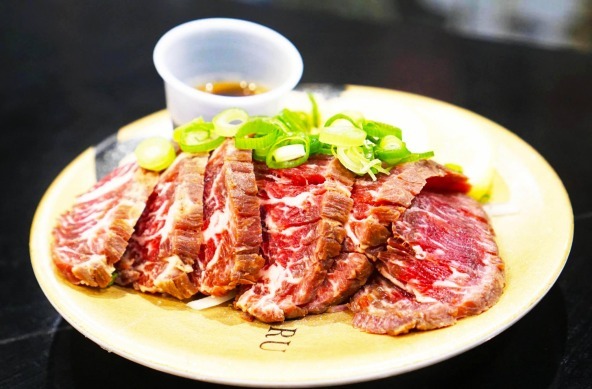 The flavoursome slices of beef are chilled, well marbled and slightly seared on the edges to give it a nice texture. The best part is that they’re flavoursome enough that they don’t even need to be eaten with sauces. 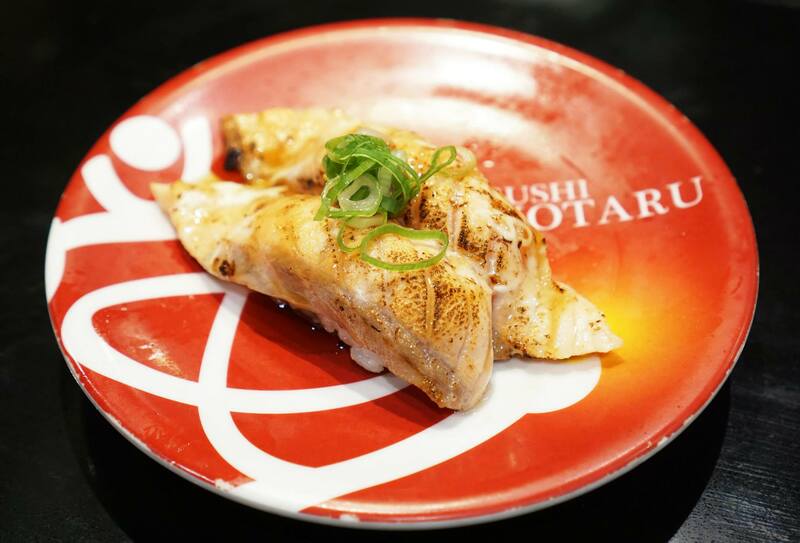 The texture of the seared salmon and scallops are both quite similar, Sushi Hotaru does the most amazing job with their seared dishes using the gas blow torch. The seared salmon was originally our favourite dish here and even now we almost always order at least two serves every visit. The sauce, seared meat and the warm rice brings the perfect texture and combination of flavours. It was a really hot day so plates of sashimi were definitely the way to go. 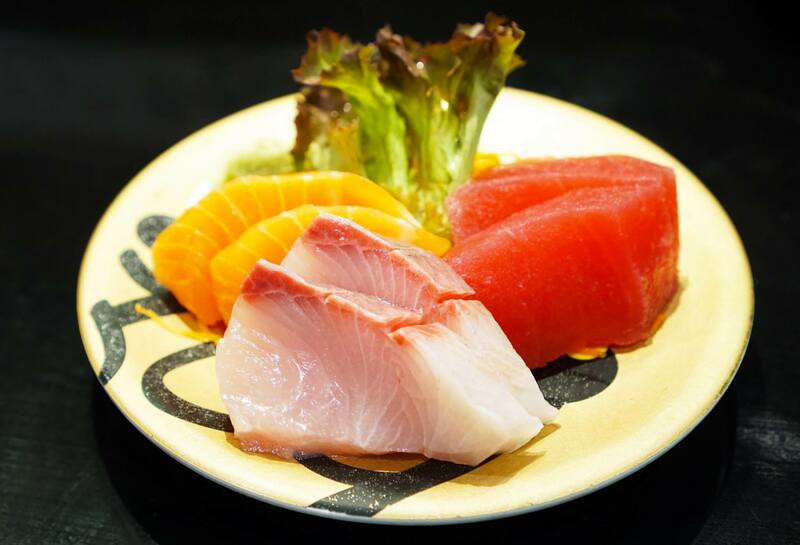 Sushi Hotaru serves their sashimi straight from the ice shelf so the fish are still chilled and very refreshing. Mr C loves the salmon mostly because of the texture but I really enjoy the more flavoursome tuna and kingfish. 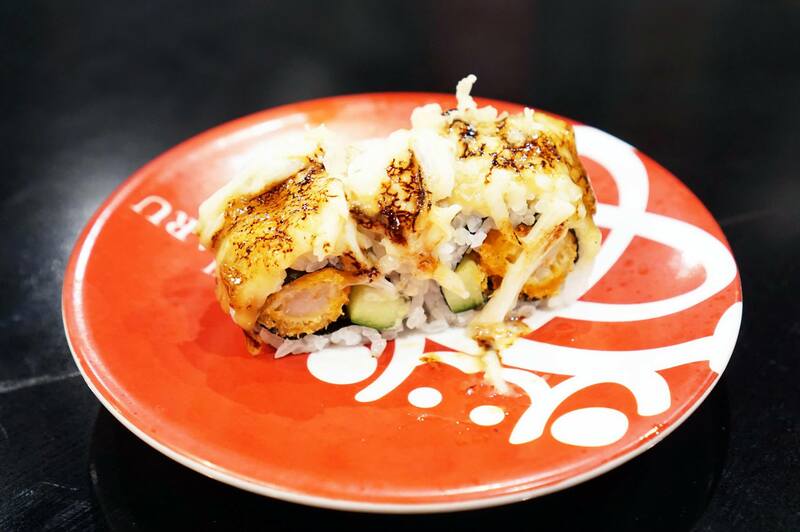 We were lucky to be the first to try their special roll made of cucumber and prawn katsu which is smothered in a delicious mayo/cheese. The roll is then seared until it’s slightly crispy on the outside and served warm. I would definitely order this again if they make it a permanent dish! 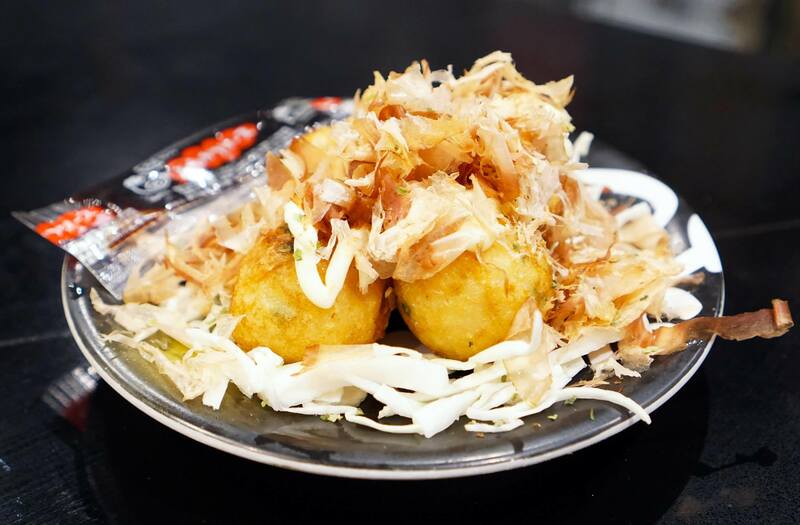 I’ve never been a massive fan of takoyaki and I’m usually quite picky on which ones I enjoy (the ones in Osaka are awesome), Sushi Hotaru is close with the right amount of creaminess and similar taste so we generally order them. 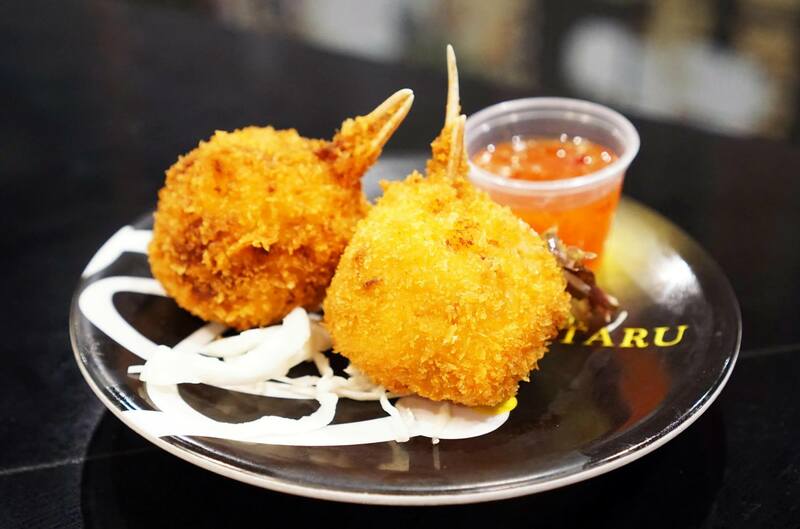 We also love to order the crab claws because you get a decent amount of crab meat for the cost, they’re so delicious accompanied with the sweet chilli sauce. Although we were starting to get full we couldn’t resist ordering just two more dishes. Mr C doesn’t like the lobster salad (he’s missing out) so he ordered an extra serve of the tuna and spring onion. These little parcels of seaweed and rice are just perfect dipped in soy sauce. 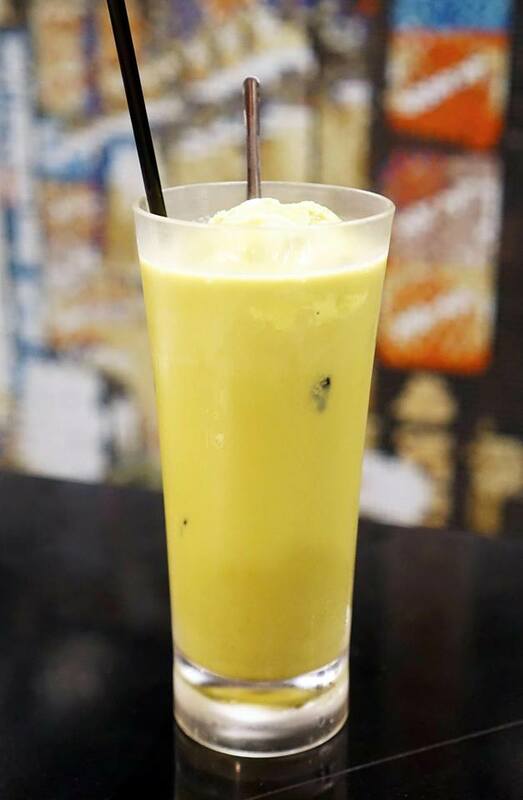 We both love green tea lattes and Sushi Hotaru ticks all the boxes for a perfect green tea latte – large serving, lots of milk, plenty of ice and awesome green tea ice cream on top. 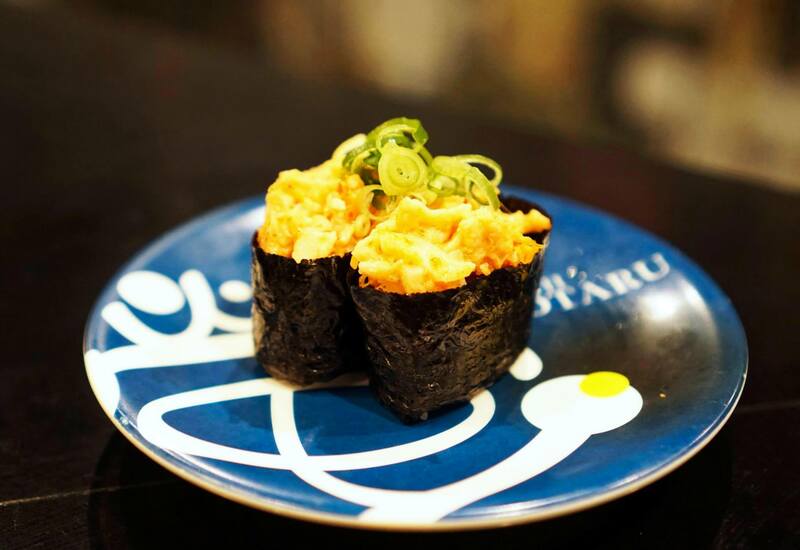 Overall we had another great visit to Sushi Hotaru as expected, the ingredients used are fresh and tasty and we enjoyed every dish. 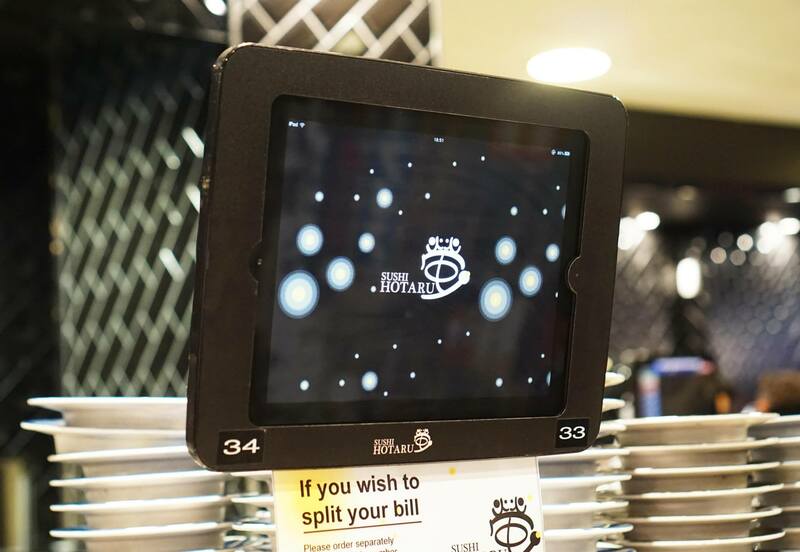 The Bathurst street store is more spacey and usually doesn’t require a wait. 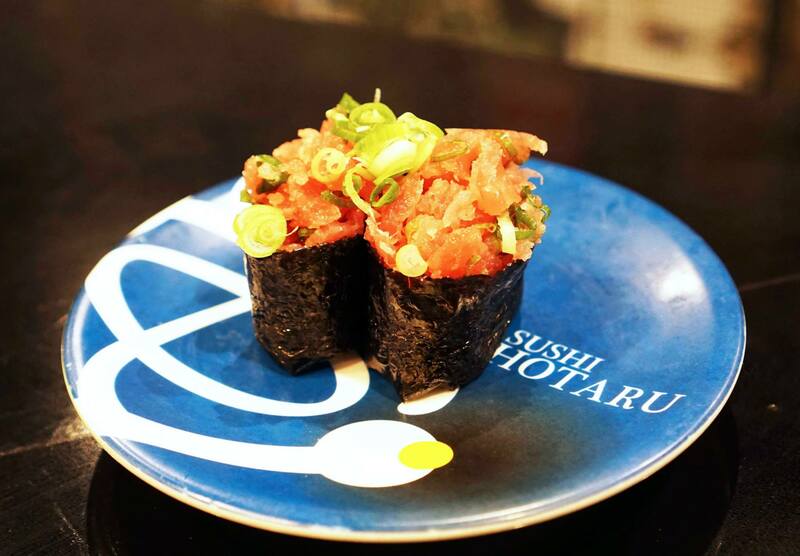 Mr C and Miss K dined as guests of Sushi Hotaru and SD Marketing Global. 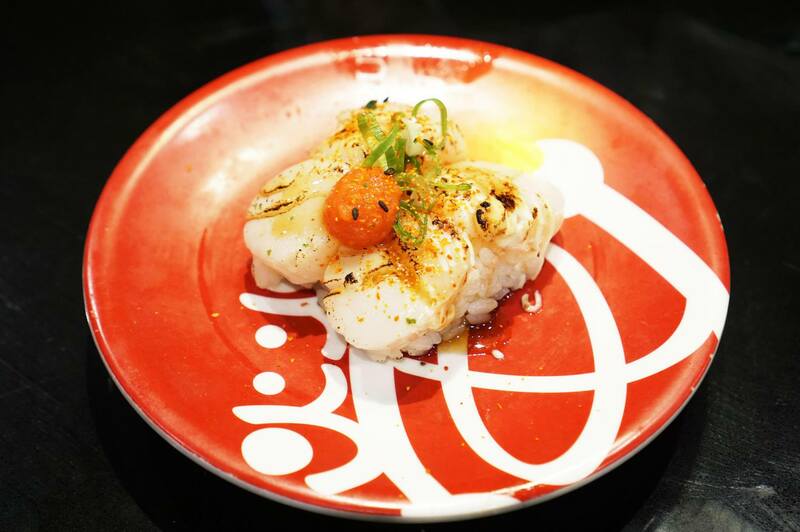 The seared scallops looks enticing. I was wondering how much these dishes would cost. Mmmm spicy scallop! and Mr c does not know what he is missing out on! Oh wow, love their plates! And the takoyaki, the spicy scallops! They all look SO GOOD!